If drinking before noon is your thing but you’re growing tired of the Bloody Marys and Mimosas, we have a solution: the MerMosa. On a dark day this past winter, Devin was contemplating how to expand our “breakfast beer” offerings beyond our much adored Pearly Awake. 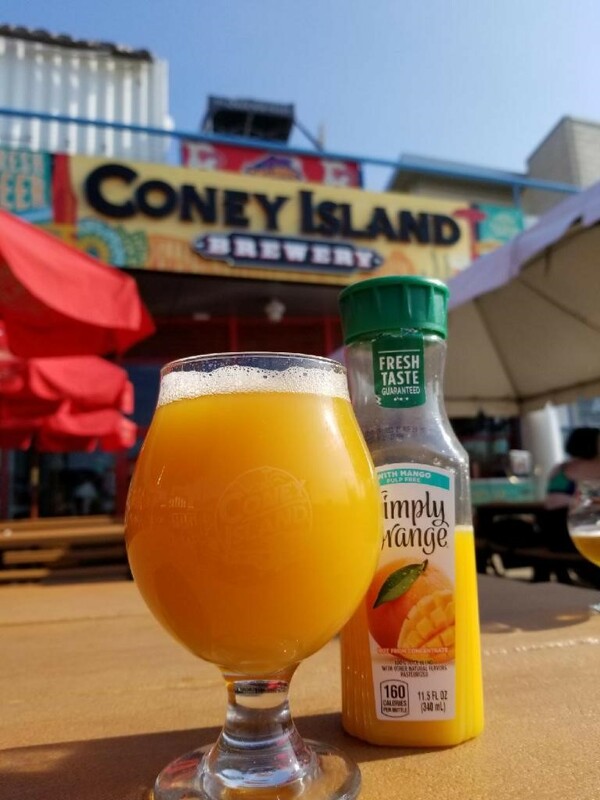 Inspired by the tropical fruit and citrus hop character of our brand new Merman NY IPA, it seemed only natural to add a dash of Orange Juice. The name and the various juice combinations flowed from there and the MerMosa was officially born. Check out the tasting notes for the different concoctions from our crew below! This combination of the gentle sweetness of sun kissed oranges compliments the strength and distinction of our well respected Merman to create an experience unmatched by any beverage that masquerades as a compliment to a filling and satisfying brunch. Tropical fruits burst through each sip, mango notes overwhelm the nose in the best way possible. The mango & OJ mixture entices the taste buds to valiantly withstand the beautiful power of the acidic strength of this powerful and unforgettable concoction. Two unique expressions of bitterness and sweetness dance around the enchanted taste buds of any patron bold and sophisticated enough to face the uncontrollable desire this mixture inspires on every part of the tongue. Make your own from home and share them with us on Instagram using #MerMosa!